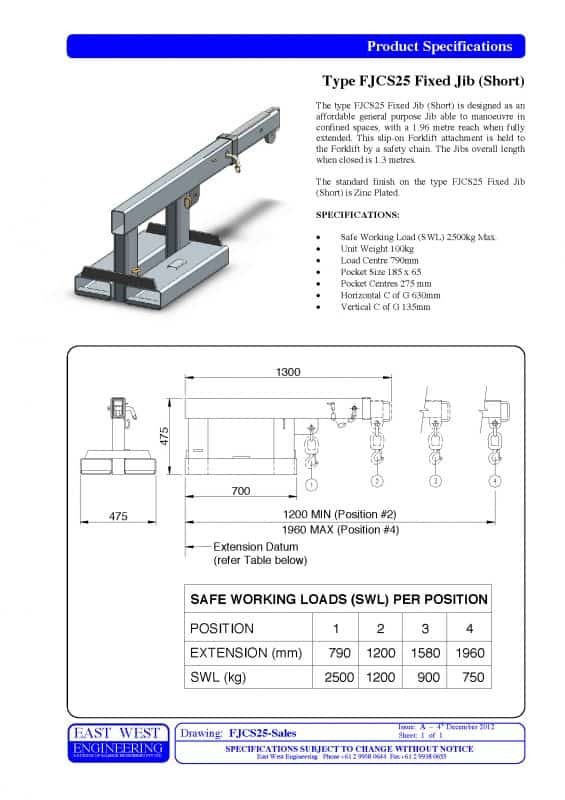 The type FJCS25 Fixed Jib (Short) is designed as an affordable general purpose Jib able to manoeuvre in confined spaces, with a 1.96 metre reach when fully extended. This slip-on Forklift attachment is held to the Forklift by a safety chain. 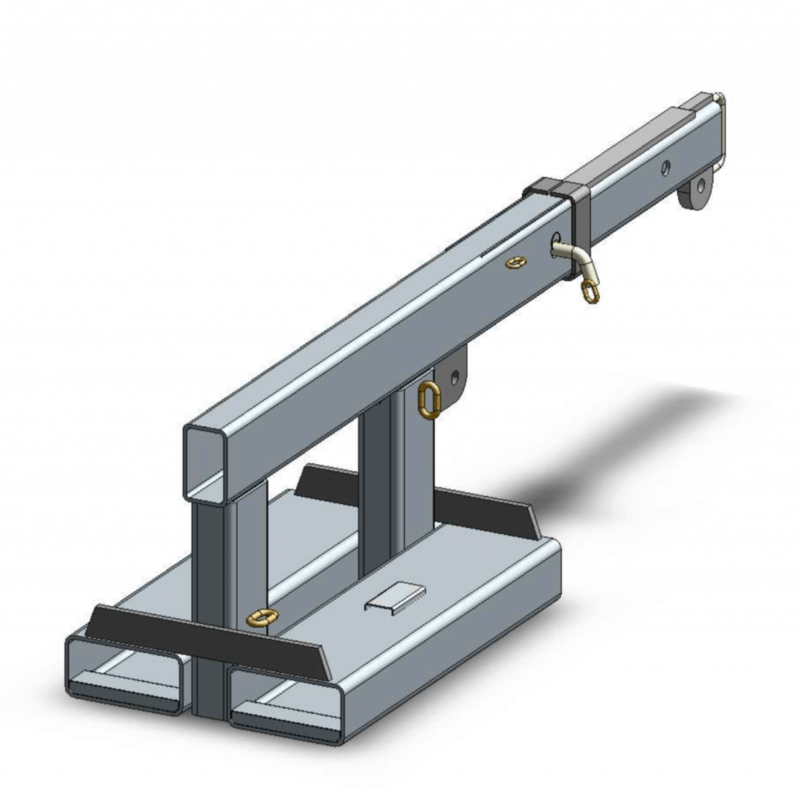 The Jibs overall length when closed is 1.3 metres.